Chinese electronics giant Lenovo unveiled a trio of new devices today, one of which was particularly interesting. The Yoga Tablet 2 Pro is a 13-inch, Android-powered tablet…with a built-in projector that lets you beam 16:9 high resolution images and movies directly to a wall or screen. Coupled with its 8-watt sound system and subwoofer, and a QHD 2560 x 1440-pixel screen, it’s hardly surprising it’s being pitched as the ultimate entertainment device. 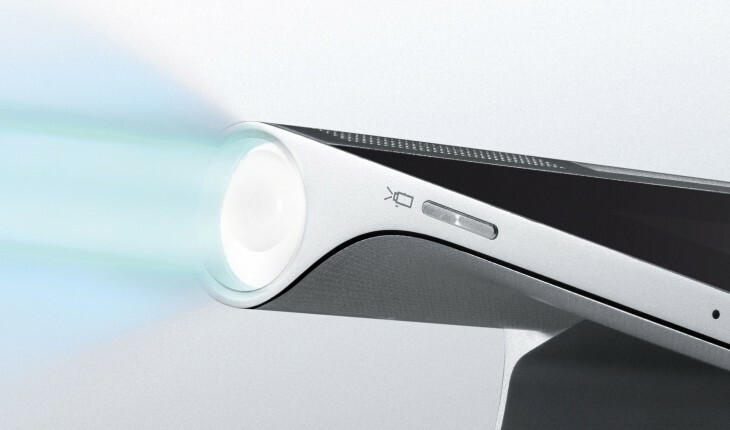 Curious to see how well the projector performs, we gave it a bit of a spin earlier this afternoon, and captured this little video of the $499 device in action. Based on our brief tests, we were impressed with the quality of the projections.